I'm happy to see that the work I did for Petit Alma, Manhattan-based stationary line, is now available online. 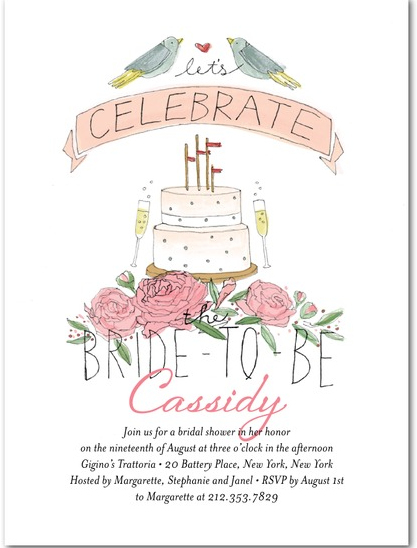 I worked on the illustrated part and hand-drawn type for this bridal shower invite. 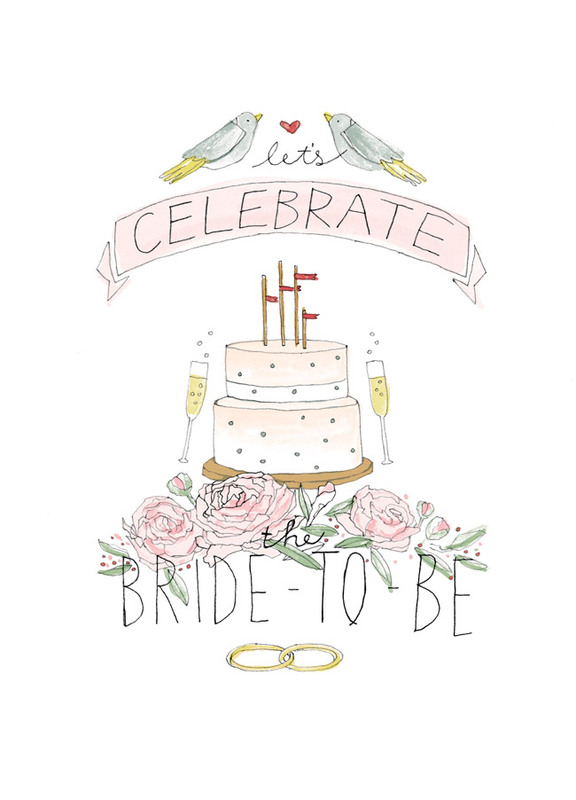 This design can be purchased and personalized on Wedding Paper Divas. This is the online design that has been formatted with customizable type for personalization. This is the final artwork I sent to Petit Alma. I'm really happy with how it turned out! I have one design in Petit Alma's Holiday assortment, so I will be sure to share when it is up on their site! Thanks to the great ladies at Petit Alma for this great project!